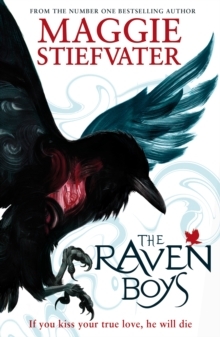 This is the first book in a brand new series from bestselling author, Maggie Stiefvater. Fans of SHIVER (9781407115009), LINGER (9781407121086) and FOREVER (9781407121116) will love this new quartet! Blue has spent the majority of her sixteen years being told that if she kisses her true love, he will die. When Blue meets Gansey's spirit on the corpse road she knows there is only one reason why - either he is her true love or she has killed him. Determined to find out the truth, Blue becomes involved with the Raven Boys, four boys from the local private school (lead by Gansey) who are on a quest to discover Glendower - a lost ancient Welsh King who is buried somewhere along the Virginia ley line. Whoever finds him will be granted a supernatural favour. Never before has Blue felt such magic around her. But is Gansey her true love? She can't imagine a time she would feel like that, and she is adamant not to be the reason for his death. Where will fate lead them? Look out for the next book, THE DREAM THIEVES, out 18th September 2013!